eLogic Learning is excited to announce the eSSential LMS has continued to receive recognition as a “Top 5 LMS” in the E-Learning 24/7 Mid-Year LMS Rankings Top 50 Report. The report cites eSSential’s intuitive user experience, highly configurable platform and commitment to customer service as crucial components in the LMS’s top ranking status. 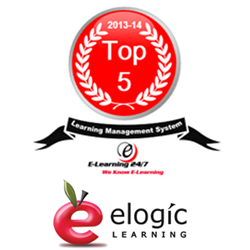 eLogic Learning continues to be one of the leading systems on the market. With an intuitive interface, strong feature set and elite support and service, it is a system to be reckoned with.